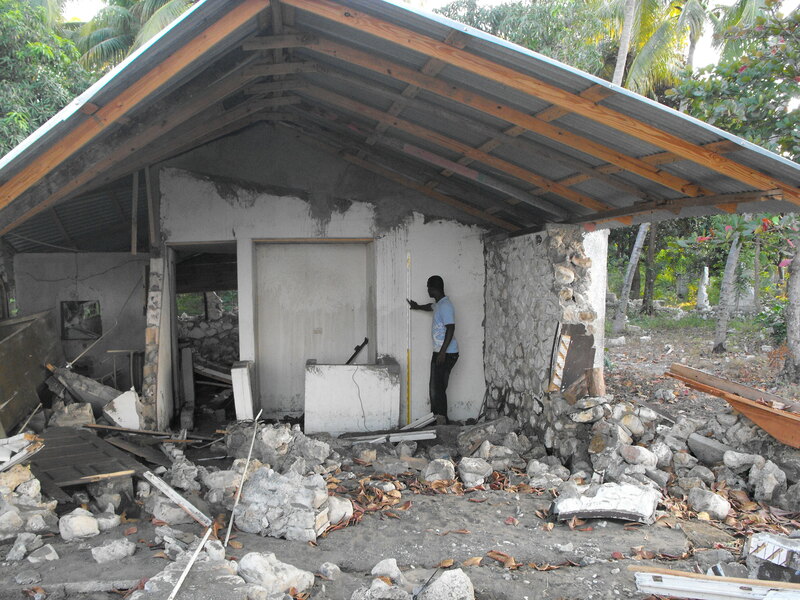 The Haiti tsunami was generated by a Mw 7.0 earthquake (18.443°N 72.571°W ), at 21:53:10 UTC, 25 km (15 miles) WSW of PORT-AU-PRINCE, Haiti (according to the USGS). In approximately 50 minutes, the tsunami was recorded at DART® buoy 42407. 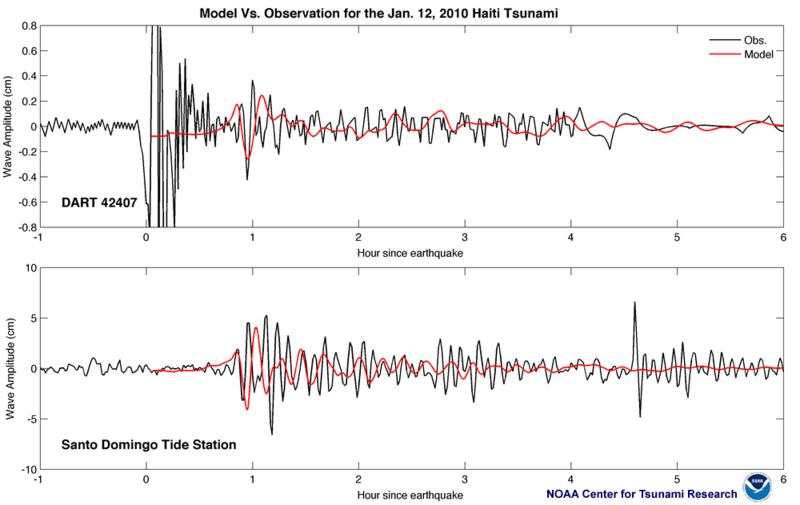 Preliminary model results shown below were created with the NOAA forecast tools using MOST model with the tsunami source inferred from USGS CMT solution and constrained by DART® data amplitudes. Small tsunami waves were clearly recorded at Santo Domingo tide gauge (approximately 280 km from earthquake epicenter), about 50 minutes after the earthquake. 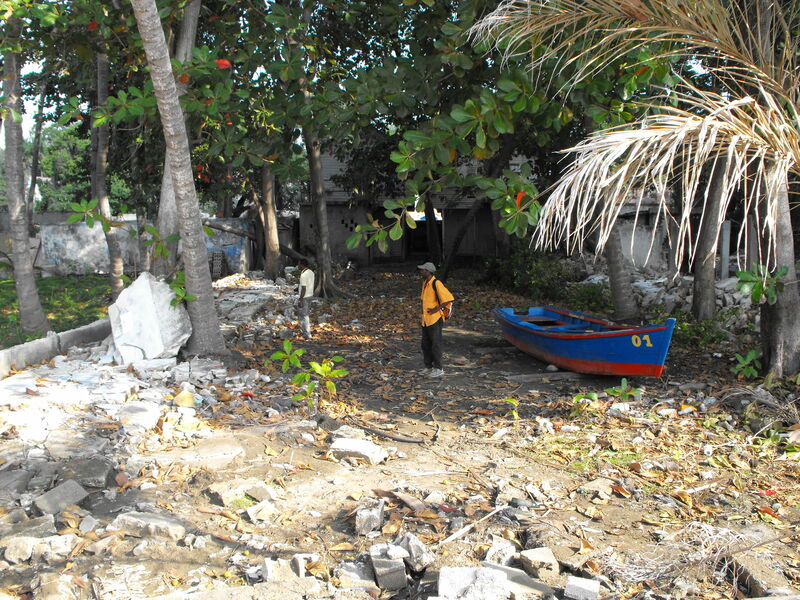 Local impact from tsunami was also documented by a post tsunami survey and satellite images of the impact area. 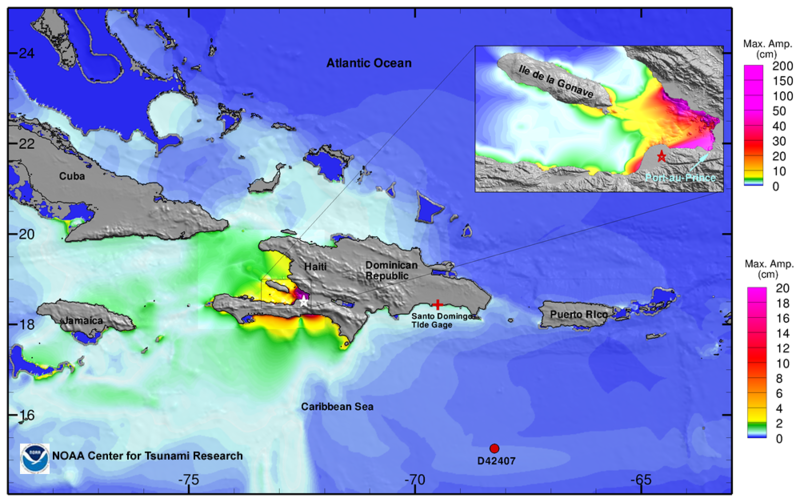 The model-data agreement in tsunami arrival time and general wave signatures suggest that the wave recorded at DART® and at Santo Domingo tide gauge may have been generated by the co-seismic deformation from the earthquake. The model shows potentially strong impact only in the vicinity of the epicenter, which is consistent with the survey observations. Maximum wave amplitude information is shown color-coded on top of blue-shaded sea floor bathymetry.